Hunting in the dark is fun and a great challenge, especially when you have the appropriate gear and equipment. It is a good way to ensure that a particular animal population is well-maintained, especially in places where other population control methods have forced the animals to change their behavior and adopt a nocturnal lifestyle. If you want to hunt in the night, it is important to have proper hunting lights. The process involves a lot of walking through the woods with a backpack, leading dogs in case you need them, and your hunting rifle. Your safety is paramount and having a hands-free light source for taking accurate shots in the dark is very important. Read below for a comprehensive review of the best night vision scopes to help you make an informed decision based on your interests, needs, and hunting style. One of the most important pieces of equipment you need for a successful night of hunting is the Orion H30 Predator. It will help you see your target without raising an alarm. The device is a mounted hunting light that produces a bright and focused beam of light that reaches up to 273 yards. 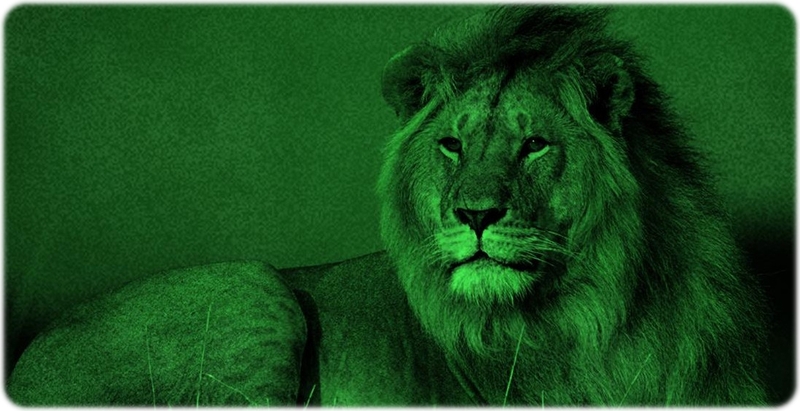 It is capable of reaching up to 300 lumens of brightness, and you can choose either a red or green LED light based on the type of animal you are targeting. A red LED light is ideal for such animals like coyotes and foxes since they don’t perceive red light. Green is excellent for wild hogs. Either option allows you to spot the prey in advance. You can purchase both for added flexibility. The light comes with four brightness settings. The battery can last between four to twenty-one hours depending on the settings. The device is built from a robust scratch-resistant anodized aviation-grade fabric. It weights slightly below 5 ounces with a length of 6.1. Obviously, it’s not bulky. The Predator is a robust tool built from military grade materials. It is also waterproof and can stay immersed for thirty minutes at a depth of up to six feet. It relies on either one 18650 or two RCR123 rechargeable batteries. In case you are searching for a new light to meet your night hunting requirements and needs, consider the Orion H30, which is a reliable option in the industry. It is an intense light source and can withstand any environment. It will perform well both in high and in subzero temperatures. It comes with a 10-yrear warranty just in case it breaks which is quite unlikely. The Orion H30 Predator is among the best options available for anyone looking for a secure, stealthy and almost indestructible light for their night hunting needs. The light could be a great supplement for your equipment and ensure that you have a perfect aim at any target once you are out of the wilderness. 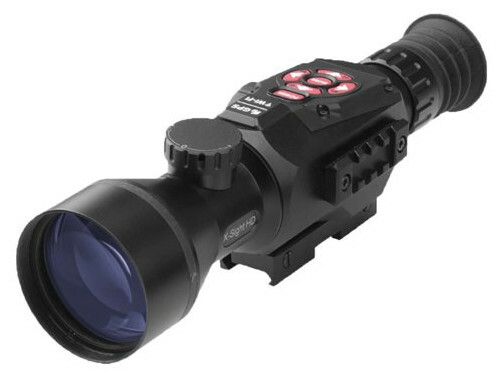 The ATN Aries MK 390 is a top of the range Generation 1 scope with a 4x magnification and sharp Red on Green light. It is built on a sturdy and light titanium mounting system. It can boast computer aided optical designs and pure grade thick glass used to create a multi-element and high aperture lenses for ultrafast light transmission and resolution beyond the current military standards. Only the best hand-selected image intensifier tubes and high-quality materials are used in the Aries MK 390’s construction. The illuminated reticles, top-quality O-rings, internal click adjustments, adjustable front focus, and hard exterior finish are nitrogen-purged for total resistance. The Aries MK 390 comes with batteries, user guide, soft case, and all the essential hardware for solid mounting to a standard Weaver-style rail. Again, it comes with a two-year warranty. The device is easy to use since it has two different adjustments. The first focuses the reticle, a red cross-hair at the center of the field with an adjustment for brightness. The reticle, being a duplex type, doesn’t extend to the edges of the field and no information is provided in the user guide or ranging. On the plus side, you can turn off the reticle to lower battery consumption, and it has a focus ring at the rear to allow you to get a sharp focus. The unit comes with a rifle scope, which makes it bigger and heavier than an average hunter might be ready for. It is a good value compromise, however, and the minimal amount of illumination needed means that you can be easily aware of what or who is around you when in a dark environment. You can see your targets, but they can’t see you. If you go into the dark in the night, it is a perfect accessory and fun to have around. The unit is built from the new proprietary CORE image tubing that includes double the resolution of Generation 1 devices. Such a construction offers a flatter and clearer night vision images. The body of the device is created from solid aluminum where the O-ring is sealed and coated with rubber for additional protection. The CORE technology provides top of the line resolution with up to 70lp/mm. Also, it offers increased photocathode sensitivity levels of over 400pm/mm, giving high image quality capable of competing with the Generation 2 image tubes even in the worst lighting conditions. Just like all Armasight scopes, the Vampire 3x is treated with nitrogen and comes with all the necessary hardware for solid mounting, a soft carrying case, the user manual, and batteries. It has multi-coated lenses and an adjustable fine reticle that is adjusted manually for making accurate and straightforward shot placement. Besides all these features, this unit is completely water-, sand- and dust-resistant for increased reliability. 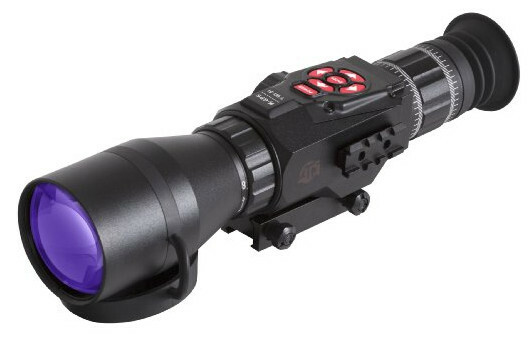 It comes loaded with tactical rails for illuminators or lasers and is perfect for predator hunters or tactical marksmen searching for a stable, durable, and lightweight night vision rifle scope. You can always be in the hunt with the Vampire 3X without allowing the dark get in the way of your kill. It is manufactured by the experts at Armasight and offers top quality images even in areas with poor lighting. 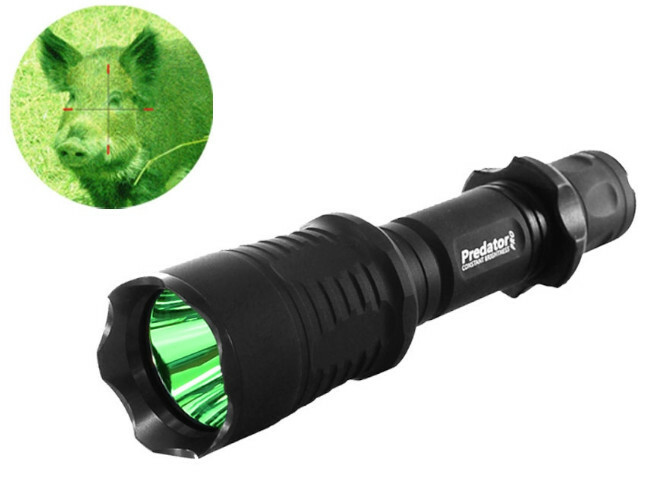 With all the features already mentioned above, this device is highly recommendable for anyone thinking of night shift predator hunting escapades. The best way to get a night time scope for a gun you plan to use during day time as well is by having a day/night system. The ATN X-Sight 5-18x Riflescope is a good choice. It offers a perfect zoom when hunting. The Smart Riflescope comes from tactical experts at ATN and is powered by the new revolutionary ATN Obsidian Core which runs a combination of sensors to cover all your hunting needs. It gives perfect clarity whether it is during the day or night time, and the Smart Shooting Solution, Wi-Fi, Record HD Video images, and Compass are just some features among the ones you’ll find in this unit. With this device, you can be sure to have some of the best rifle scopes that the night vision industry offers. Wi-Fi Module – The inbuilt Wi-Fi allows the user to connect to a mobile device or desktop computer. You can use the viewfinder option on your phone or upgrade to the latest firmware to record and watch more videos. It comes with a user manual for troubleshooting and instructions. Video recording and image taking capabilities – The unit is a multi-functional scope with useful features such as high-resolution video or photos. It can record and output a picture of 1080p full HD resolution at 30fps. Obsidian CORE & Ul – It can operate at a billion cycles per second, utilizing a high-resolution sensor with distinctive night vision capacities. The CORE is a highly specialized computer designed to run a suite of sensors and crunch large files in just a blink of an eye. It is easier when you set up your smartphone, and it will offer you various customizations for making your X-HD device. Smart Channel – This unit makes it easier for you to take and share images and videos with your loved ones either online or at home. Therefore, turn every special moment into a stunning and detailed Full HD resolution for movies whenever you go. You can achieve this by connecting your device to your HDTV. The device comes with other useful smart features such as an E-compass with a 3D magnetometer sensor that creates a useful electronic compass inside your rifle scope where it tracks the specific field of focus. The Gyroscope is an inbuilt feature that improves the ability to spot your prey smoothly and have a steady view. The Smooth zoom offers superior flexibility and convenience to users. If you want sharp and precise visibility even in some of the worst-lit locations, try investing in the ATN-X-Sight II5-20 Smart Riflescope. It gives an edge in decreasing image distortion. It has varying light intensity and photo-sensitivity amplification but still produces top performance and engineering that most hunters want in a night optic device. 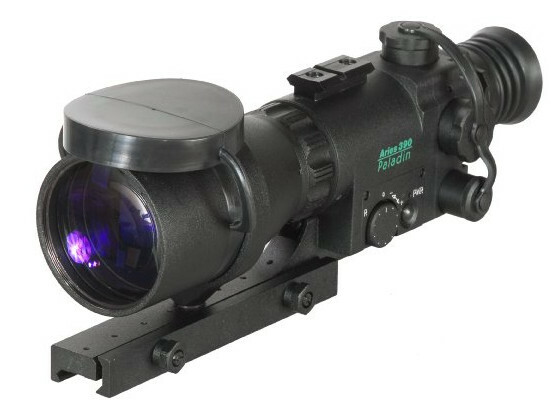 ATN company has been manufacturing field of view scopes and light sources necessary for night vision for years, and this model is the best tool that achieves that and more. With it, you can be sure that you possess one of the best night vision devices. It also comes with many unique features. With its crystal dear images and millions of colors, you’ll forget that you are looking through a digital scope. You can save all your Zeroing-in and Ballistic data in the Profile Manager for each weapon you plan to use with this unit. It does not require resetting every time you use it, just create a new profile and you are ready to go. Also, it comes with a Smart Rangefinder to make life a lot easier. With a simple shift of the scope and two dicks, you can range your target after which the reticle will adjust automatically to its point of impact. Make use of these set of sensors and sophisticated processing power unit for an entirely new shooting experience. You can also share the fun with your family and friends thanks to the HD video and photos that you can shoot all night long. You will no longer forget to record those perfect shots. The device comes with ATN’s RAV feature that records videos automatically before and after you pull the trigger. It is a powerful shooting solution on the market today with a favorable price tag. Night vision scopes are created for mounting on weapons and equipped with one or more reticle pattern. 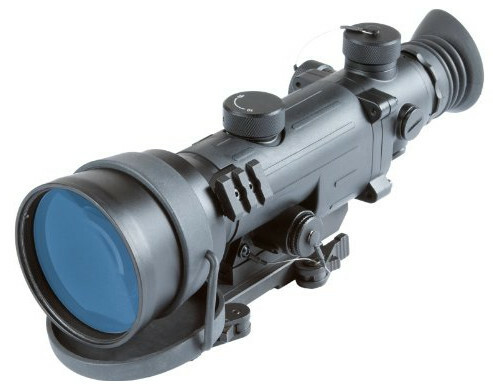 You can utilize them on various types of night vision tubes that range from Generation 1 to 3. Many manufacturers work day and night to improve their devices, and, as a result, these digital devices have become quite popular. The digital scope devices, unlike their analog counterparts, can be used both for night and day hunt. Another addition is the development of the Ceramic Core technology which offers a high-resolution to Gen 1 tubes resulting in excellent image quality. There are improvements in the higher generation tubing too, which provide a better contrast and are easy on the eye due to the gray color. The choice is yours to make, depending on your hunting needs and expeditions.